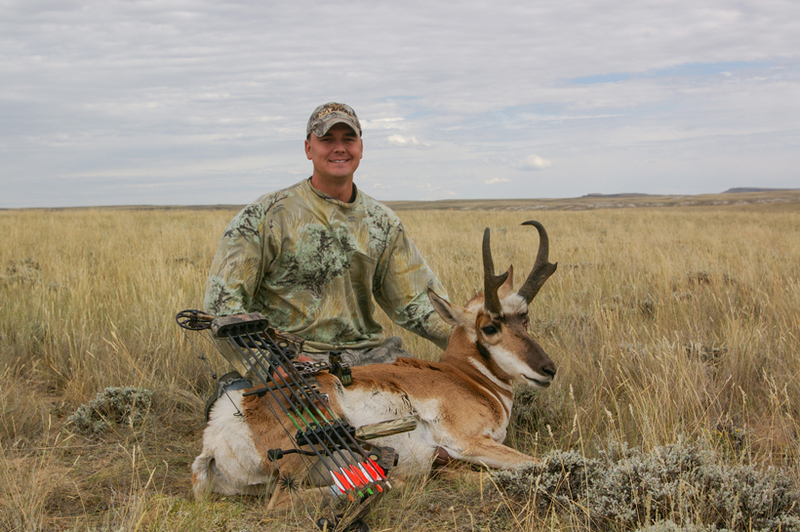 The small antelope buck made its appearance as the hunt was winding down. While I had hoped for a larger animal, I also knew that shooting this buck would fill the sixth and final tag for the week. I reached for my bow, undecided on my next move. My brother, Lucas, and I hunted this same ranch several years before, but made the return trip home empty-handed. The pressure to succeed had ultimately caused us both to botch great opportunities. In the time since that first trip, our cousin Jonathan bought one of my old bows and started bowhunting. 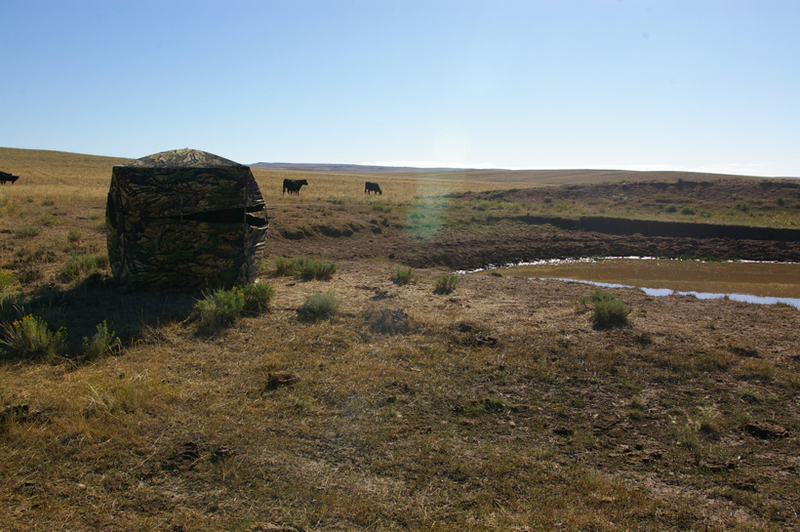 The three of us decided to head back to the same central Wyoming ranch. Neither Lucas nor Jonathan had ever shot an antelope and I planned to focus on giving them an opportunity. Lucas and Jonathan are both younger than me and since I helped both of them become involved in archery and bowhunting, I was excited to share a trip together. I wanted both of them to succeed, but had learned my lesson during my first trip with Lucas and knew to try to keep things light and fun. Anticipation was high and the company was exceptional as we chewed up the miles on our road trip West. Our conversations were full of reminiscing about stories from our youth. 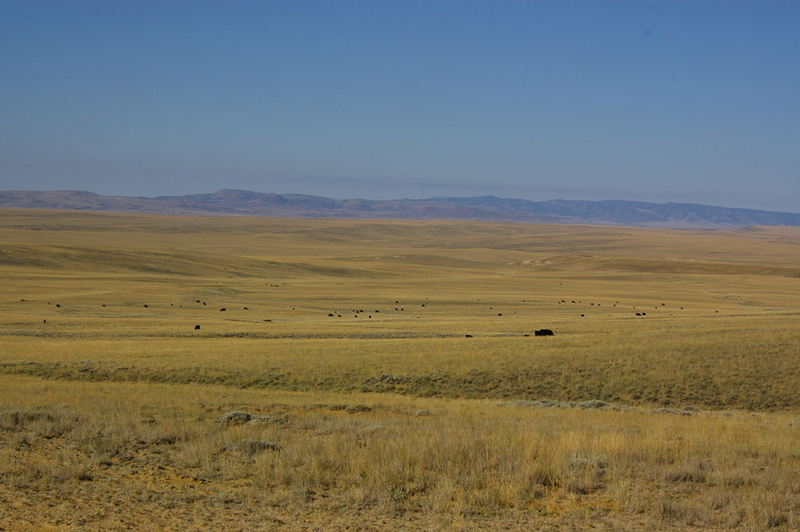 As we crossed into Wyoming the focus turned to the hunt and what lay ahead. 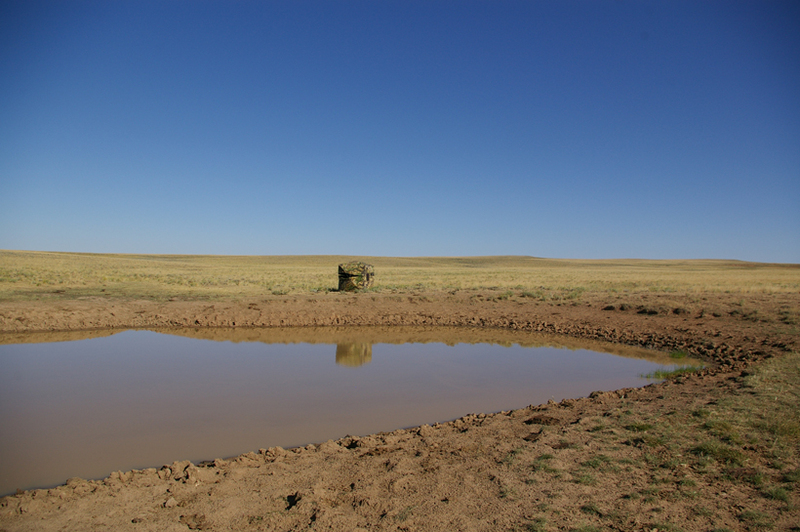 There are quite a few ponds on the ranch we hunt; however, one is easily better than all of the others. 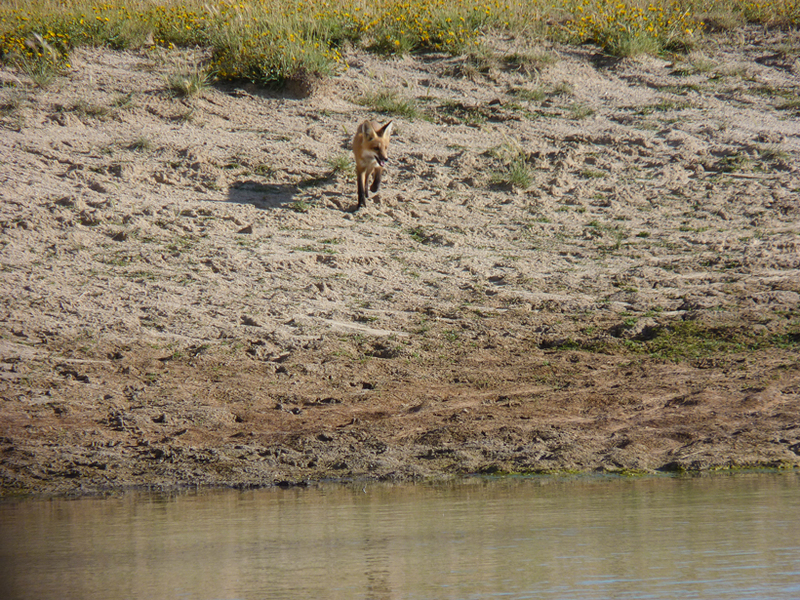 The secluded pond always has many antelope around it and is small enough to cover entirely with a bow. We drew straws and Jonathan was the lucky one that would crawl into a blind on the small pond the first morning. Lucas and I would scout the other ponds and set up several more blinds. On the way to the small pond we saw antelope scattering in the headlights. It did not take long to get Jonathan set up and ready for an all day sit. Lucas and I headed off as planned to find some other options. Another pond showed potential so Lucas crawled into a blind setup for the rest of the day. I decided to explore the ranch in the pickup and be available if Jonathan or Lucas were successful. It did not take long before I got a text from Jonathan. It had only been a few hours since I dropped him off and he already had a buck on the ground! 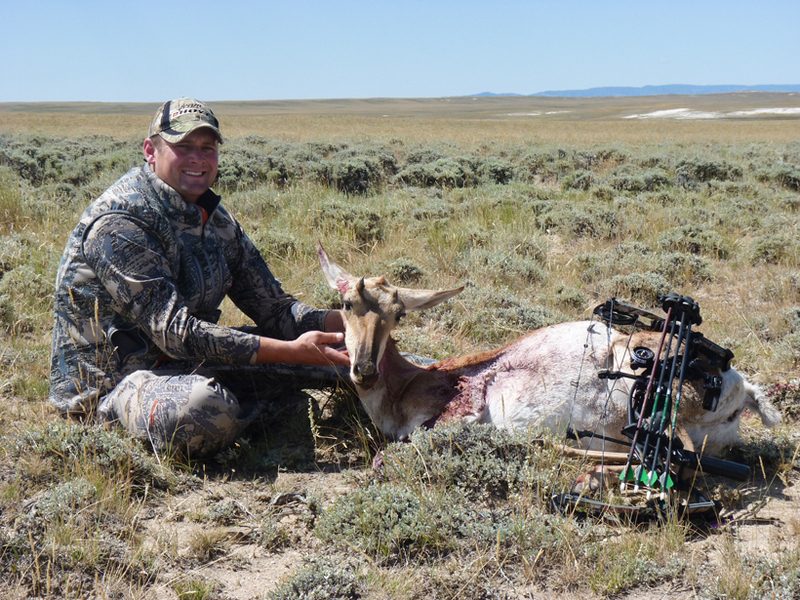 I dropped everything to go help celebrate his first antelope and his first bow kill! The second day did not provide the instant action from the day before and no one had any luck, but we were having a great time so it did not matter. 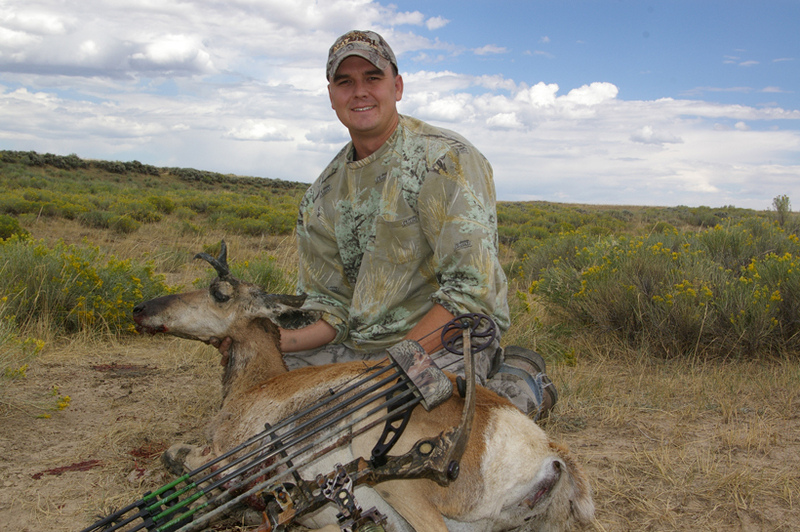 Things picked back up on day three when Jonathan was able to stalk within 25 yards of a doe. He made a great shot and was tagged out for the trip! I had been sitting in a blind right off the road when he came and got me so I could help him recover his doe. Being relatively new to big game hunting I was glad to help teach him the steps to proper field care. 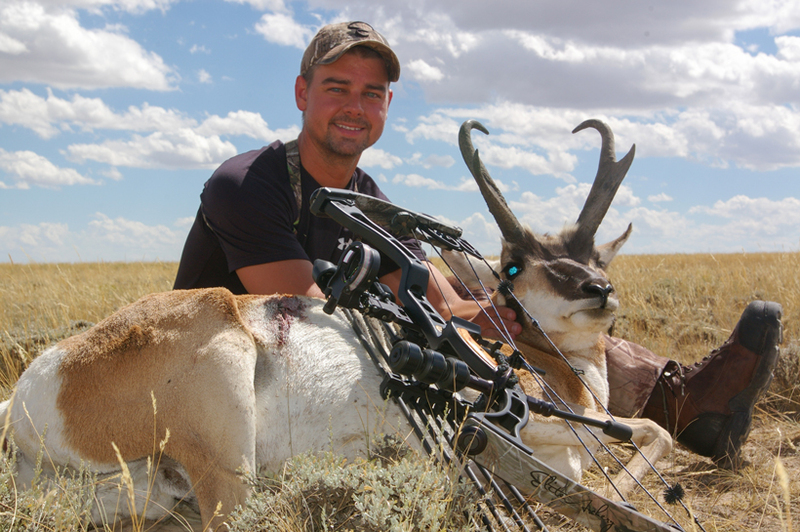 We shared the experience of gutting and processing both of his antelope. With plenty of daylight left I crawled back into the roadside blind. I did not expect much because we had not seen many animals around the pond, but there were a few nearby so it was worth a try. Much to my surprise a doe and a fawn appeared out of nowhere from behind the pond dam within the first 30 minutes. My arrow penetrated the vitals and the doe ran a short distance behind the dam and expired. Jonathan luckily drove by a short time after and we were headed back to the ranch skinning shed. We had three tags filled and three to go with several days still left in the hunt. Lucas still had not seen much activity. While it could have been very easy to get discouraged, Lucas stayed positive and had the perfect attitude. He was excited for us and glad we were filling the cooler. He knew there was still plenty of time left in our hunt for him to have a chance, too. In his time spent in the blind, Lucas had not had any antelope close enough to him, but enjoyed seeing the other wildlife; he was certain it was only a matter of time before he got his chance. His positive attitude was rewarded on day four. 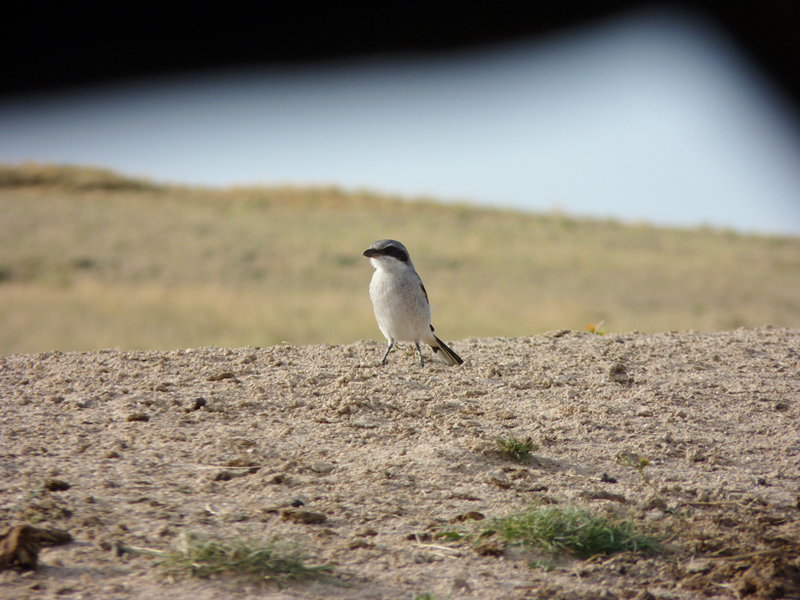 He switched to a different blind that was tucked down in a major washout overlooking a small pool of water. While the pool was littered with tracks, it would be a tough sit because visibility was limited. 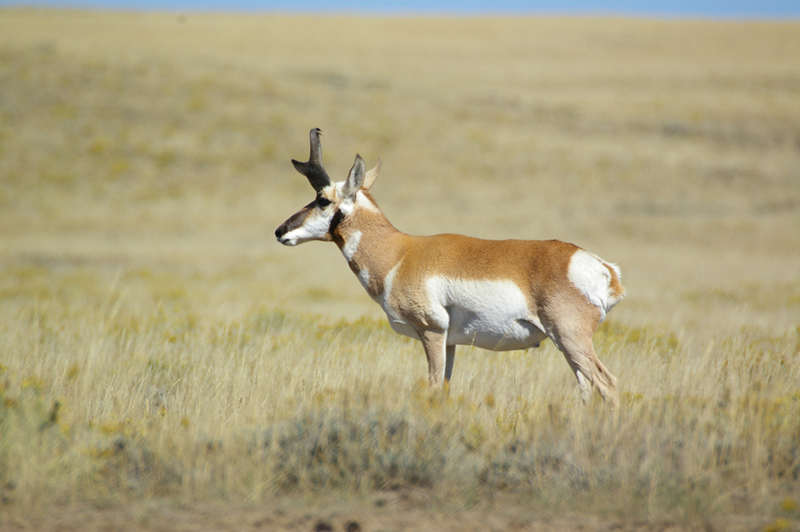 The animals would nearly be in range when they came into view unlike previous days where Lucas could watch distant pronghorn wander his way. Several hours into his sit a doe came out of nowhere, appearing at the waterhole. 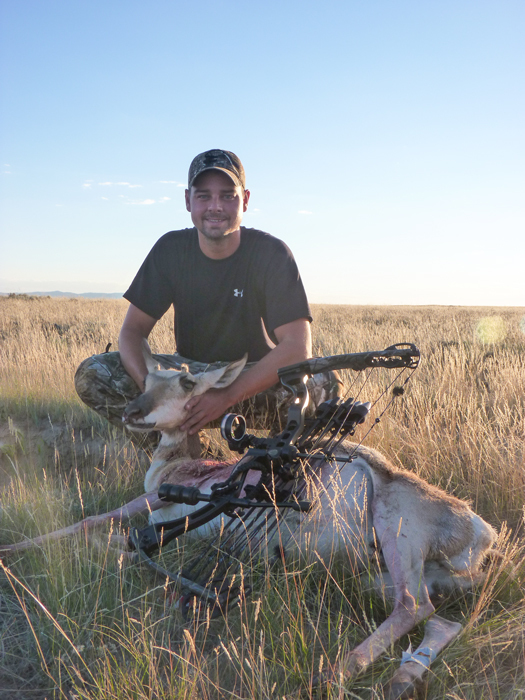 Lucas kept his focus and quickly grabbed his bow, drew and loosed an arrow before the doe left the waterhole, successfully killing his first antelope. The pronghorn doe was unique because she had 4 inch horns! We always teased each other about shooting a trophy doe, but Lucas was taking one back to Kansas. Like Jonathan, Lucas did not have much experience field processing and caring for the meat and I was able to teach him the proper way to do so. 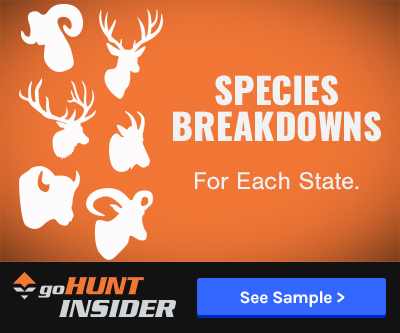 If you need practice breaking down an animal just take two newbies on a hunt with six tags! It felt like I had spent more time with a knife in my hand than I had with my bow, but I loved every minute of it — especially seeing Jonathan and Lucas get a taste of archery success and how rewarding it is to take an animal at close range. We had two days left with two buck tags left to fill. We decided that Lucas should go back to the blind where Jonathan was successful on the first day. Lucas had already sat in the blind with little luck, but there were a lot of animals in the area and we did not think there were any other water options nearby. We were wrong. Lucas watched group after group skirt the pond he was sitting on and continue over a small rise to the south. Finally, he had seen enough and left the blind to try to stalk a buck. Unfortunately, the country is very flat and the stalk was unsuccessful. 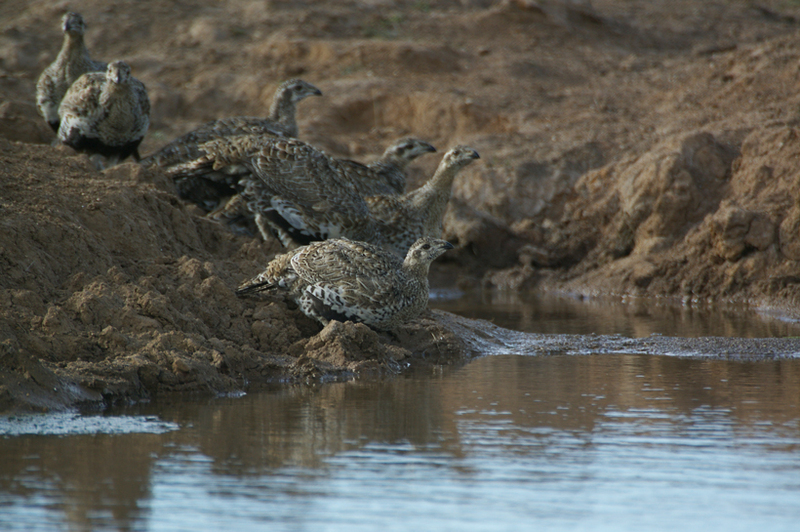 Since he was out of the blind, Lucas took the opportunity to continue on down the shallow drainage where he located a small pool of water that was covered in tracks. The small pool was too active not to hunt it, but rather than go pull the blind Lucas decided to gamble and tuck into some surrounding sage brush. 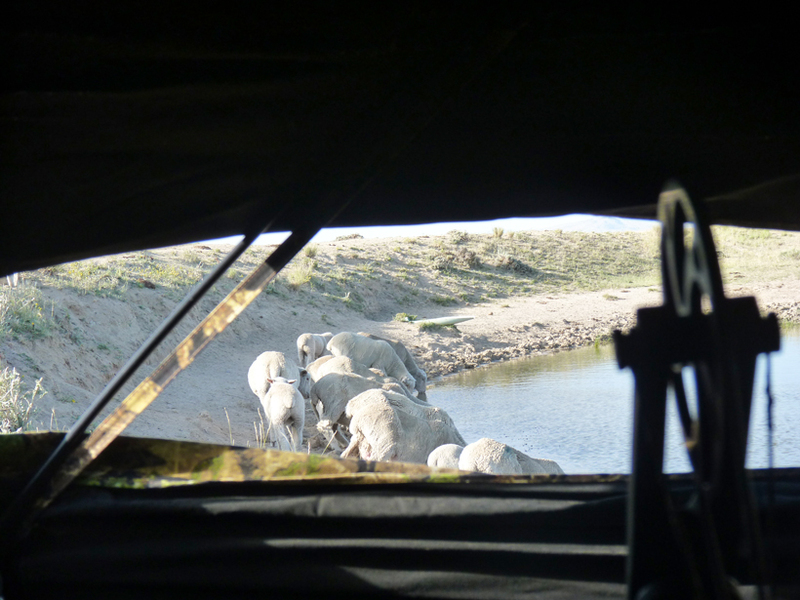 A blind can be obtrusive to approaching animals, but getting drawn on a wily antelope without the cover of a blind can also be very difficult. It did not take long for Lucas to spot a nice buck several hundred yards out in the large sage flat. Lucas tried to anticipate how the buck might approach and got positioned for a shot. Unfortunately, the buck came in from behind him and very close. Lucas sat motionless and let the buck pass by a few yards from his makeshift blind, waiting for the perfect time to draw, but the buck caught his movement and was on high alert. Lucas quickly settled his pin and let the arrow fly, but the buck was too alert and spun at release, which resulted in a marginal hit. It was going to be a long day, but one positive thing about hunting flat open country is that you can see a long distance. Lucas and Jonathan came and got me to assess the situation. The odds of a stalk were slim where the buck had laid down so we decided to just sit and watch. Since we were running out of time to hunt and there was not a need for three of us to sit and watch, I went back to a blind and Lucas stayed put watching his buck. After I left, I instantly regretted leaving my brother with a wounded animal. Having an arrow in an animal that you have not recovered is a gut wrenching experience and I should have been there for him. 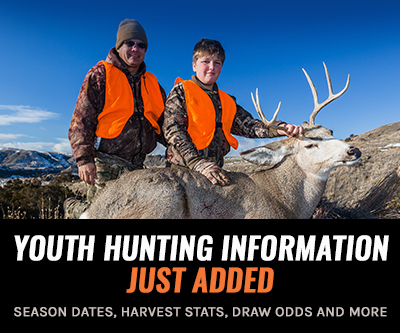 I sat in the blind agonizing over my decision to resume the hunt when a vehicle approached from the distance and, to my surprise, it was Jonathan and Lucas. They had Lucas’ pronghorn riding on the cargo rack! What a relief! They watched the buck for over an hour and he was obviously hurting. After trying to stand up and move around a few times Lucas made the decision to try to sneak in to finish his buck. By the time he closed the distance he was down for good. I bailed on my hunt and went to celebrate Lucas’ success. 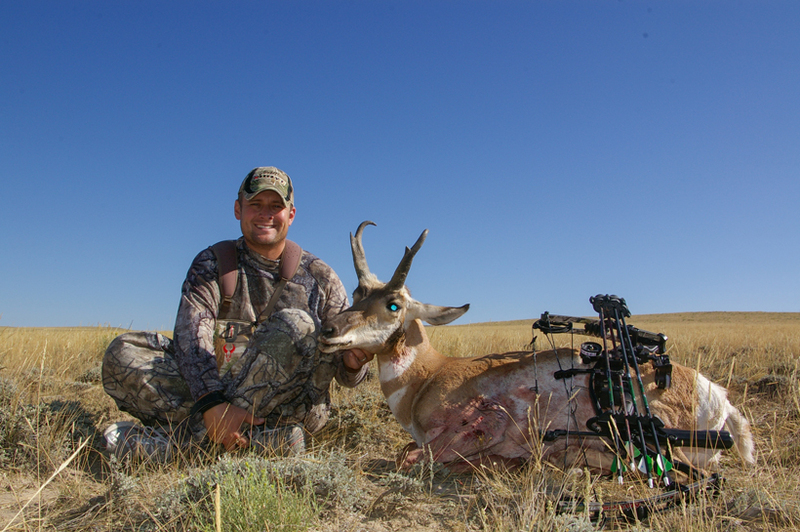 It took two trips for Lucas to finally tag a pronghorn buck, but it was worth the wait. He was a beautiful buck and definitely one for the wall. I could finally breathe easily because Jonathan and Lucas were both tagged out. They shot great first bucks and it really could not get any better. We replayed the events of the week that evening and decided on a plan for the morning. I headed back to the blind where Jonathan shot his buck the first morning for my final sit of the hunt. I would hunt while the guys cleaned up around camp and got everything packed up so we could head for home midday. I settled in for the morning feeling blessed to share a great hunt with some great family, and, ultimately, great friends. Action was slow, but I did not care. I was feeling accomplished and reflecting on the week. Finally, a small buck was headed my way from the north. My expectations had been low because the majority of animals had skirted this blind most of the week. To my surprise the buck came in on a string. 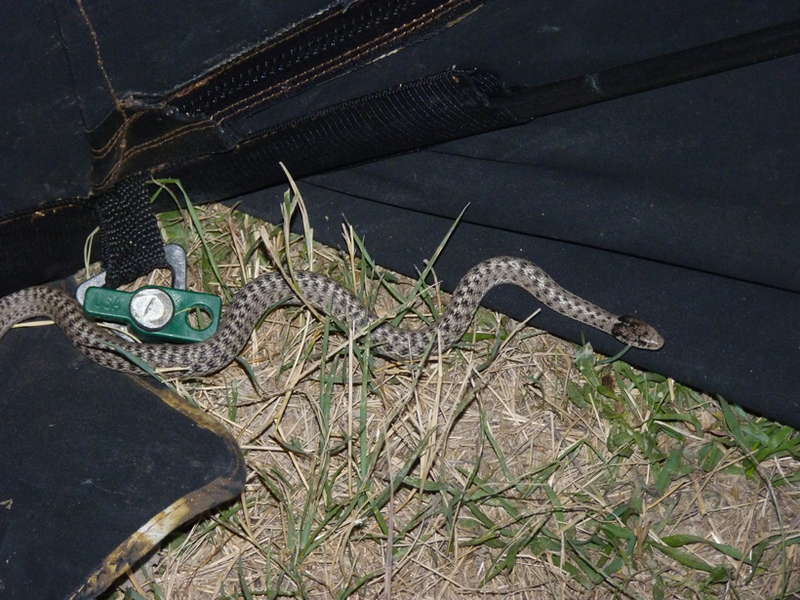 I knew he was not a trophy class animal, but after grabbing my bow it did not take long to decide he was in trouble. The buck strolled into my view and stopped 20 yards away. My arrow flew true and I watched it enter the vitals and knew the buck would not make it far. Even though the buck’s horns were not overly impressive he was number six of six and capped off a perfect week of hunting. 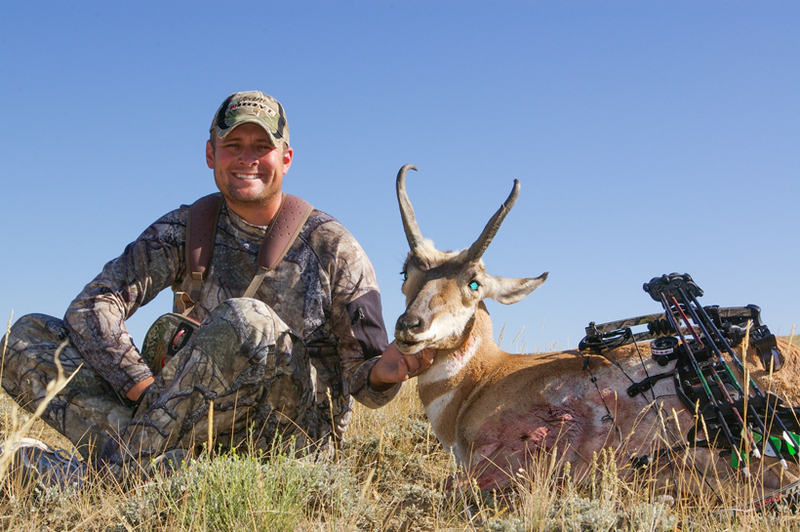 We accomplished many “firsts” on this trip and the memories of this hunt are still very vivid today. 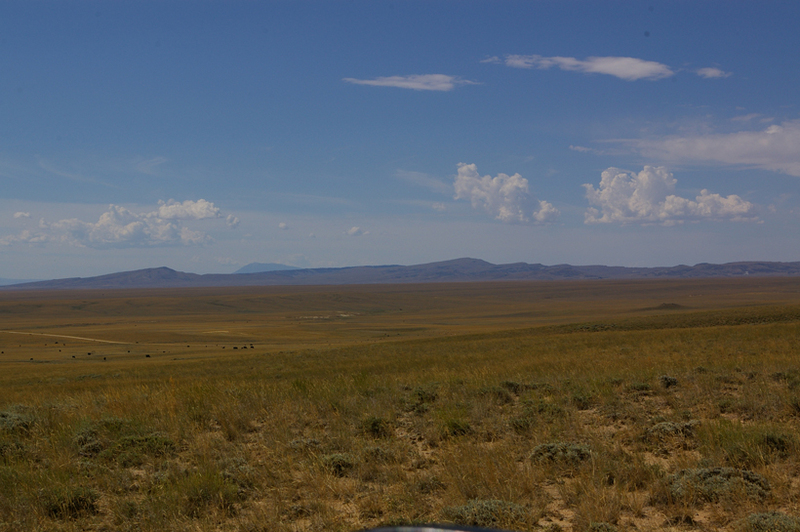 I look forward to spending another week in the vast sage country of Wyoming with Jonathan and Lucas in the future. It will be tough to beat our first trip together, but you can bet we will have fun trying!